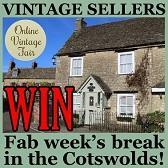 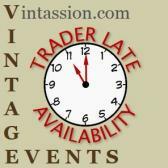 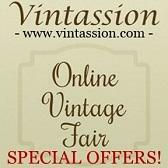 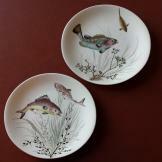 Follow Vintassion's board Today's favourites - Vintage & Retro on Pinterest. 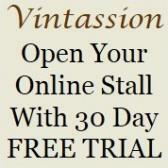 Become a Online Vintage Fair seller with our no tie-in Free Trial, both UK and overseas sellers of Vintage, Retro, Upcycled and Handcrafted are welcome. 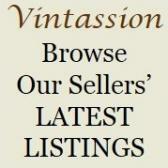 You can also dual list items from other sites you may sell e.g. 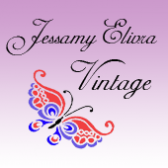 ASOS, Etsy, eBay, or Facebook, and simply refer customers there with a web-link to Checkout. 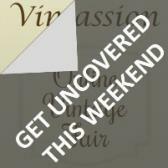 Either way we will feature regularly your offerings across our popular social pages to 10,500+ genuine followers! 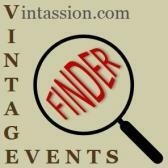 Did you know we’re also the #1 VINTAGE EVENTS FINDER for the UK? 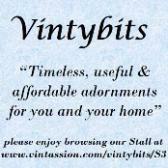 This means the thousands of lovers of vintage, retro, upcycled & handcrafted looking for events to visit every weekend can truly whet their appetite shopping at your Online Stall! 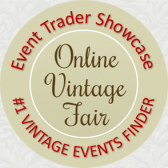 Plus you can link your Online Stall to any events you trade tempting even more customers to visit & even arrange to collect their online purchases!